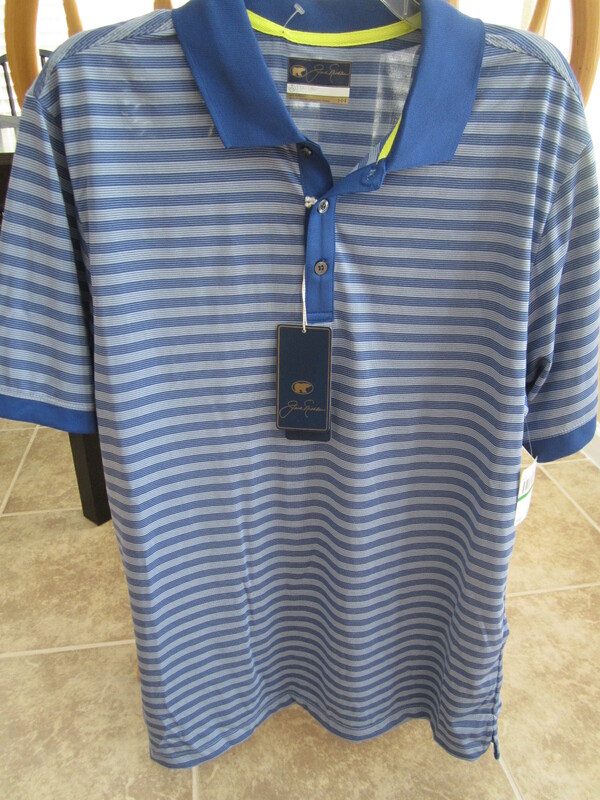 Jack Nicklaus Golden Bear brand Forever Blue striped golf shirt with Staydri technology. 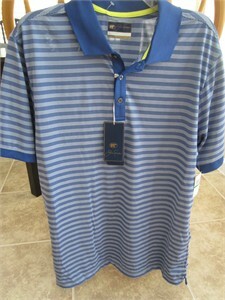 Men's size LARGE. BRAND NEW WITH TAGS, NEVER WORN. ONLY 2 AVAILABLE FOR SALE.